Argonaut Heating Ltd, established in 1972, has been providing its clients with consistently high standards of service for all industrial and commercial heating, ventilating, plumbing and air conditioning services in the London, East Anglia and South East area including central London and all London boroughs, Essex, Hertfordshire, Middlesex, Bedfordshire, Berkshire, Buckinghamshire, Northamptonshire, Leicestershire, Suffolk, Norfolk, Peterborough, Lincolnshire and Cambridgeshire. 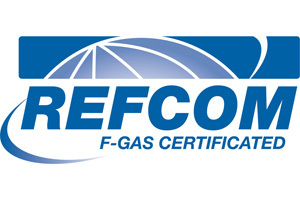 Argonaut Heating Ltd is a specialist contractor providing efficient and cost effective commercial and industrial heating, air conditioning, plumbing and ventilation solutions and we are members of the leading regulatory associations including Gas Safe and REFCOM. With over forty five years’ experience in the commercial and industrial heating, ventilating and air conditioning industry, Argonaut Heating Ltd offers a bespoke design, installation, repair and maintenance service for a diverse range of works from complete boiler house refurbishments, church and school heating installations, chemical cleaning of heating systems, fresh air ventilation, supply and extract ventilation systems, heat extraction, upgrading of air conditioning and comfort cooling systems to small works like replacement of pumps and controls. Our control systems engineers provide installation and maintenance of computer based building energy management systems including Trend and Schneider. Argonaut Heating Ltd also provide specialised Legionella Control services including Legionella Risk Assessment reports and Legionella service contracts to ensure ongoing compliance with the latest regulations for water quality testing. For our education sector and leisure industry clients, we specialise in the design, project management and complete refurbishment of toilet areas including all plumbing and sanitaryware, cubicles, flooring, tiling, lighting and accessories. We work in a variety of building types in both the public and private sectors including churches, schools, colleges, universities, embassies, private members clubs, hotels, sports centres, art galleries, warehouses, factories, shops and other retail premises. We provide a range of heating, plumbing and air conditioning and comfort cooling services for all offices and computer rooms. 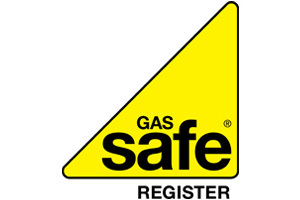 All Argonaut Heating Ltd engineers are fully qualified and committed to excellence in health and safety thus ensuring that all installations and repairs are carried out in compliance with latest regulations. All members of the team are Enhanced Disclosure & Barring Service (DBS) checked (previously known as a CRB disclosure). We would like to thank Terry and his team at Argonaut Heating for our new boiler at St Mary’s C of E Primary School, East Barnet. From the first phone call I made it’s been a breeze, very helpful and always there if you have a question. As with any works we have here, we have a number of companies come to give quotes and Argonaut Heating came out with the best quote – but not just that, an easy to understand breakdown of what we need and what will work for our school. All work taken place was clean and safe with a friendly team that talked you through what you wanted to know. Fully recommend this company which are very hard to find these days. Thank you very much for the excellent job you recently carried out for us changing the pipework. I was very impressed with the professionalism of the engineers you sent to us and am very grateful for the efficient service we received. I look forward to continuing business with your company in the future. We would like to thank you for the prompt and efficient way the new boiler was installed and we are very pleased with the result. Please pass on our gratitude and thanks to all your team for their invaluable help. Argonaut Heating Ltd is an approved installer for all the leading and recognised manufacturers of commercial heating and air conditioning equipment including boilers such as Hoval, Broag-Remeha, Strebel, Stelrad, Clyde Combustion, Potterton Commercial, Ideal Commercial, Vaillant Commercial, gas heaters including Drugasar, Rinnai heaters and Ambi Rad warm air heaters, air conditioning equipment such as Daikin, Mitsubishi, Fujitsu and York, Trane and Carrier chillers.